3/4" Flo-Rite plastic faucet made out of FDA-approved polyethylene (PE) plastic and 61mm white screw cap with 3/4" threaded reducer. 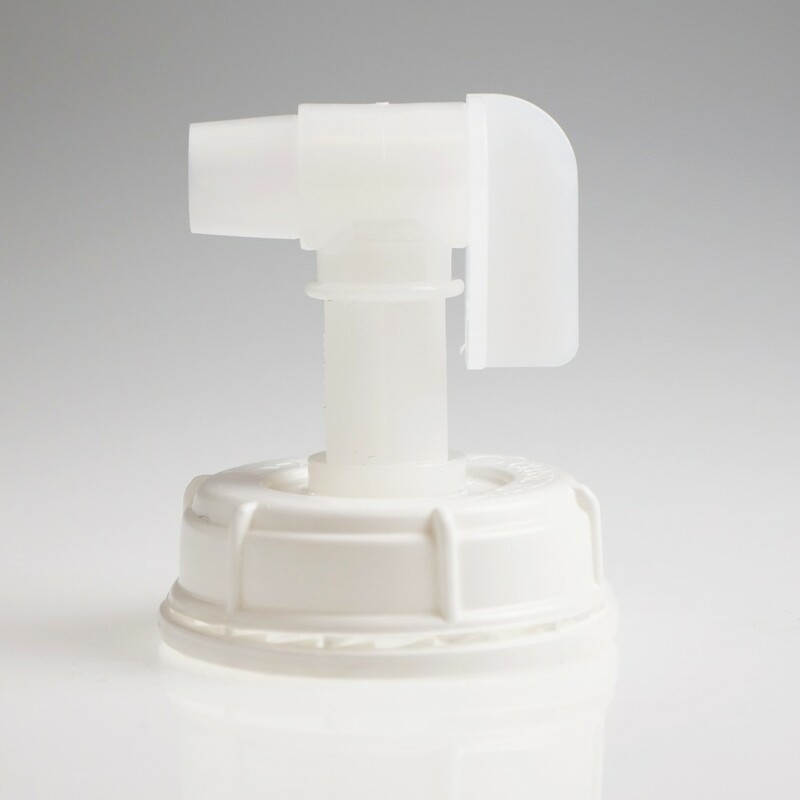 This closure is made of high density polyethylene (HDPE). Faucet cap can be safely tightened or opened with a tightening wrench and can be used to dispense most non-flammable liquids and chemicals. Comes with EPDM leak-proof gasket.